Are you cooking with one of the most versatile types of fish on the block? Cod fillets are tender, flaky, and oh-so-adaptable to global flavors. Read on to learn some fun facts, get your questions answered, and start meal planning with delicious cod recipes. Let’s start with a rundown of the different types of cod you’ll find on the market. No matter which variety you’re eyeing, wild-caught and sustainable cod is best, so check with your fishmonger and ask questions about sourcing before you buy! This is one of the most popular varieties, often used in fish and chip recipes. Most of the time, Atlantic cod swim near the seafloor and eat a variety of prey, including bony fish, lobsters, and other invertebrates. This type of cod is often caught with handlines that aren’t healthy for fish or the environment, so be mindful before you fill your basket. 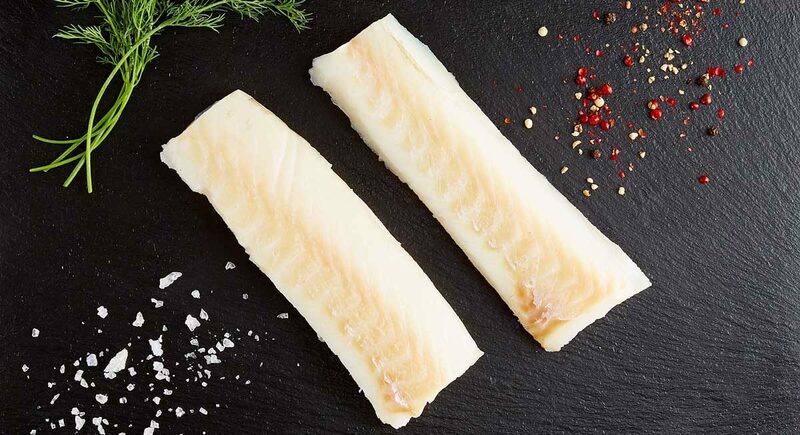 Also known as Sablefish, black cod technically isn’t part of the cod family, but is known for having rich, buttery flavor and a delicate texture. This migratory fish can be found all the way from Baja, California to Japan and can have extremely long lives—up to 90 years! This Pacific fish is a bottom-dweller with a large head, and is known for camouflaging itself in a range of colors from mustard yellow to dark green. The fillets have a natural shimmer that will disappear when cooked. Its mild flavor and dense flesh make it perfect for frying. Also known as Alaskan cod, it’s found in abundance in icy waters and cooks up with a mild, savory flavor and dense flakes. Also known as Rockfish or Pacific Snapper, there are over 100 species of Rockfish around the world, and some live upwards of 100 years, too. This deep-water fish can be found along North America’s Pacific coast from Alaska to California. Nope, it’s not a cooking oil! Cod liver oil is a supplement derived from the livers of cod, and each dose delivers nutrients like vitamins A, D3, and E, plus omega-3 fatty acids. Taking cod liver oil on a regular basis may help improve overall mood and support bone health, too. Check out these popular cod questions before you start meal planning! How do you cook cod in the oven? Cooking cod in the oven couldn’t be easier. Start by heating your oven to 400 degrees F and drizzle your fish with olive oil. 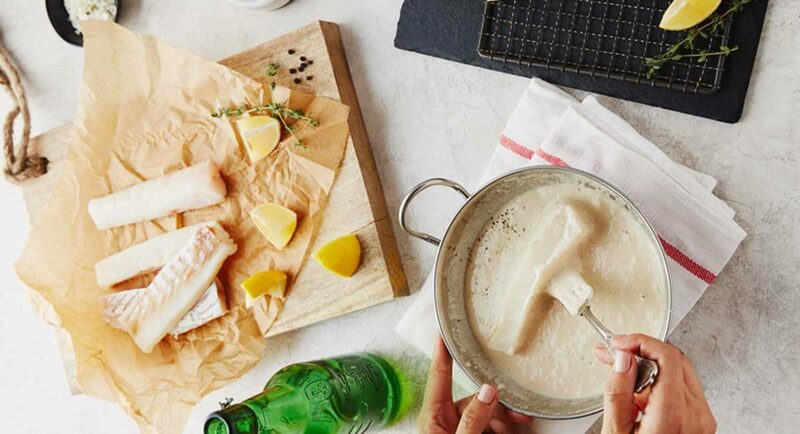 Whether you press spices into the flesh or slather on fresh herbs, bake your cod until firm, which will be about 12 to 15 minutes, depending on the thickness of the fish. How do you cook cod on the stove? Definitely start with a nonstick skillet. There’s nothing worse than your fish breaking apart when you try to flip it! 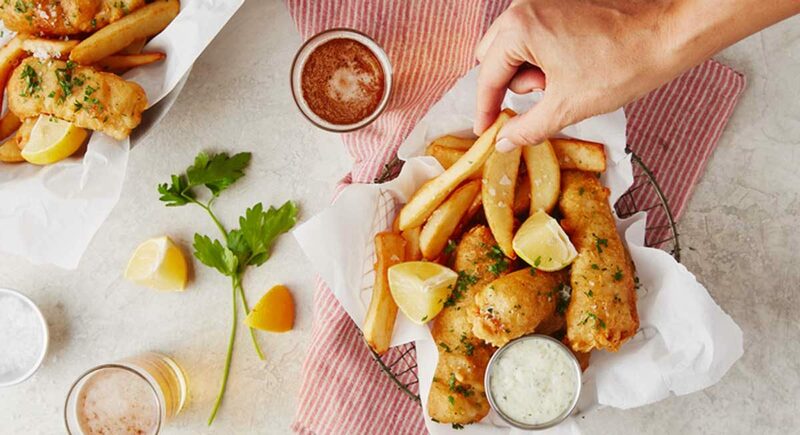 Pat your fish dry, then coat your skillet with oil before frying (canola or vegetable oil will have a higher smoke point) and cook fish for about 2 to 3 minutes per side, flipping once. How do you cook cod on the grill? Fish takes on an irresistible smoky flavor on the grill. And just like cooking indoors, you want to focus on keeping cod from sticking. Here’s a tip that’ll add brightness to the finished dish! Lay a flat layer of lemon slices on top of the grill, then slide your fish on top. Cooking times stay the same (about 2 to 3 minutes per side, depending on thickness), and you’ll be treated to extra flavor. How can you tell if cod is cooked? When fish is properly cooked, it becomes opaque and flaky. To check if it’s done, poke a fork into the thickest part of the fish at an angle, then gently twist the fork to pull up some of the flesh. Undercooked fish won’t flake easily and will still be slightly translucent. Be sure to remove the fish from the heat just shy of being done—the fish will continue to cook as it rests. 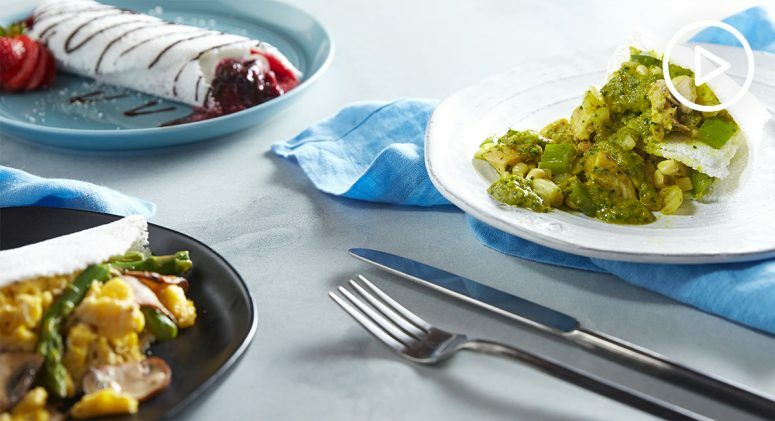 Cook up delicious cod recipes every day of the week with four recipes to get you started. This recipe is basically foolproof, so it’s great for first-time cod cookers. 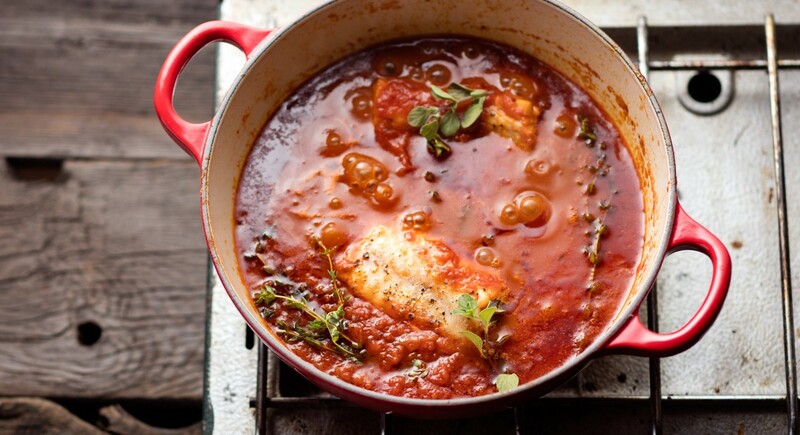 Flaky cod is poached in flavorful tomato sauce made with marinara, pepper, soy sauce, and honey. 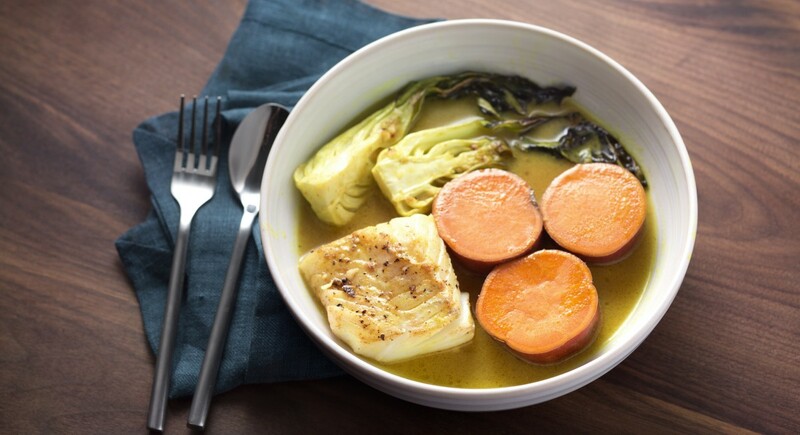 This warming dish is inspired by Thai flavors like lemongrass, ginger, and coconut milk. Crunchy bok choy adds depth of flavor and pairs beautifully with tender cod. It’s ready in 30 minutes, so this dish is perfect for weeknights, too. Here’s a perfect quick dinner from one of our favorite Paleo bloggers, Nom Nom Paleo. Rub the fish with a masala spice mix made with coriander, cumin, and paprika, then serve it over rice or stuffed into warm naan bread. Looking for a family-friendly fish dish? This is it! Instead of frying every fillet, we crust fish in a crispy, buttery mix of potato chips and cornflakes, then bake a batch in just 15 minutes. Serve it with salad, slaw, or turn ‘em into tacos.